While designing residential spaces like living rooms, people tend to overlook tile flooring. However, you should not ignore tile flooring because it can also be used in your bathroom and kitchen. Most homeowners prefer ceramic tiles for their flooring because it looks neat and clean. Ceramic tile flooring might feel cold on your feet, but it is one of the best choices for the living room. It adds beauty and appeal to a living room and is available in different sizes, patterns, and colors. There are many tile options to choose from. Porcelain tile is a popular tile flooring option for residential use, especially in the kitchen because it is resistant to spills and stains. Regarding color and style, look for a neutral tile without high shade variation to tie everything in the room together. And to be safe, pick a grout color a shade or two darker than you think you want before tile installation — it will hide inevitable stains better. Carpet tiles are not the cheapest kind of carpeting that you can have. However, carpet tiles are easy to install by yourself, which will allow you to cut down on installation fees. You can also mix and match carpet tiles to match your home décor. The next best option for residential spaces is vinyl tile options. Vinyl tile options are one of the cheapest materials for any home. Vinyl tiles are not only inexpensive but installing them almost costs nothing. Vinyl tile options are popular choices for commercial flooring because they offer long-lasting durability. It is best suited for commercial spaces with high foot traffic like hospitals and retail stores. 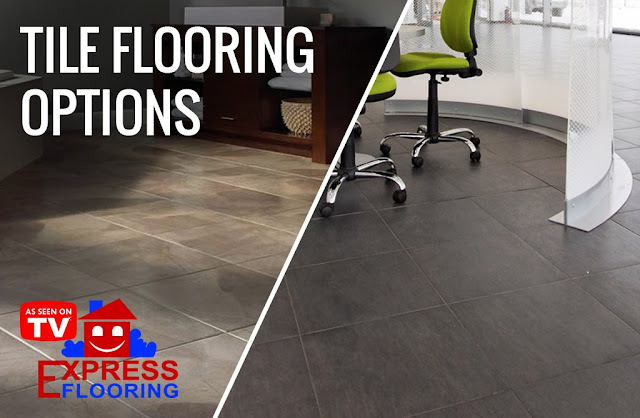 There are a lot of options available for you in the flooring industry, both for residential and commercial purposes. All you need to do is pick the right option that best suits your style and space.